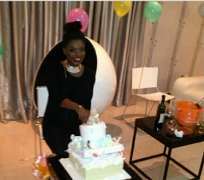 Tuface's wife, Annie had her baby shower yesterday at her home in Lagos. Her friends and Nollywood buddies joined her to celebrate. ON BLAST: NOLLYWOOD STARS CAN'T TAKE CRITICISM!